Previous Article “Papillote” with saffron-pineapples. Next Article Fava and petit pois salad. 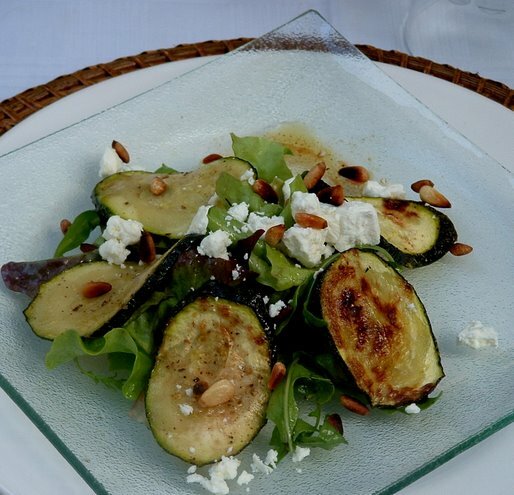 HI Ronell – Marie at Proud Italian Cook has a grilled zucchini/courgette salad posted now too. You are on the same wave length, and you both are reminding me to serve this delicious vegetable. 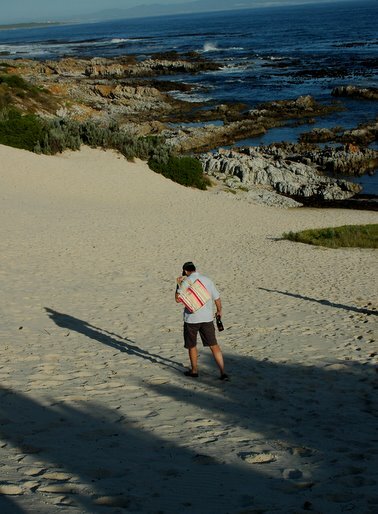 That beach could have been Onrus beach near Hermanus. Love the salad….at least not one to feel guilty about. It looks so very delicious. Perfectly arranged. And walking in the footsteps of the shadows? Lovely. That is a super yummy salad – and so beautifully plated! Lovely looking salad, not thought about doing one with roasted courgettes before, but I will now! Very unique yet oh so simple – I love it. Yet another salad to put on the table. I might hang out here for the rest of the summer. Is that okay? i love the idea of grilling the courgette..i cant wait to try this recipe 🙂 have a pleasant day ronell!! I don’t know quite what it is, but zucchini and feta go so well together. Just popped back to say that I made this salad this weekend! Instead of a braai side dish/starter, the weather meant that this was the started for an oil fondue instead, but it was a perfect light conterpoint to the meal to follow. A keeper – thanks v much! Ah yes…more zucchini…and again a fabulous backdrop with the beach.